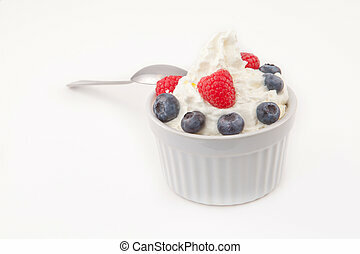 Bowl of cream with different berries. 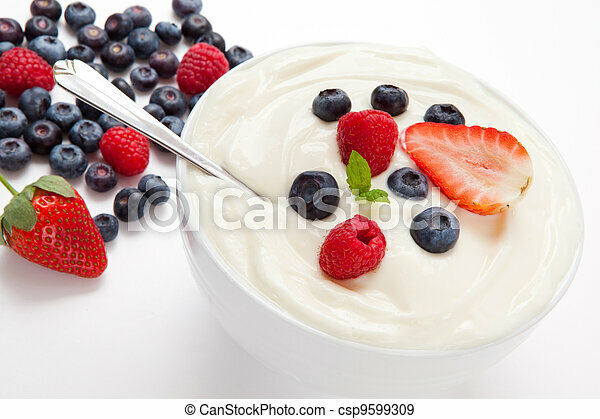 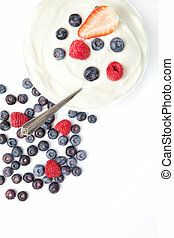 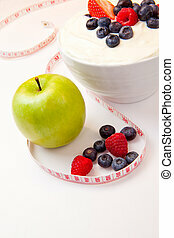 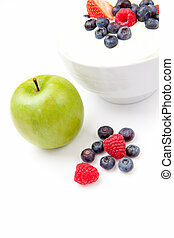 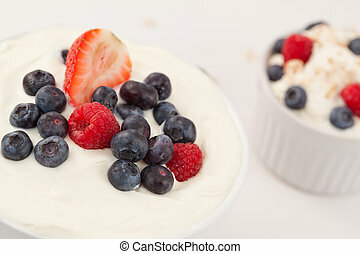 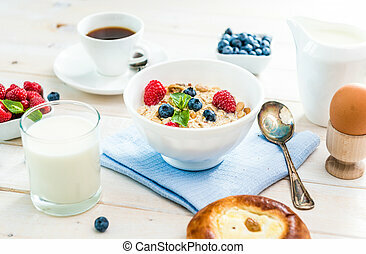 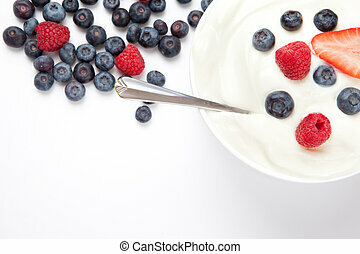 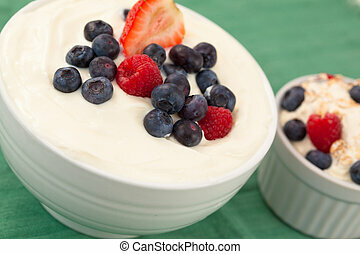 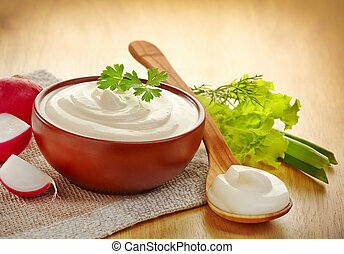 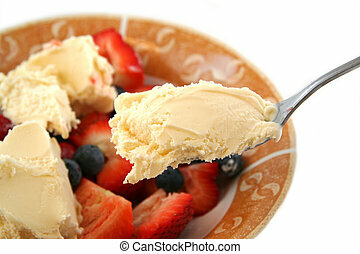 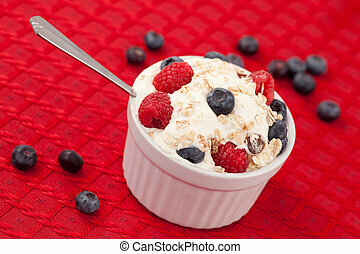 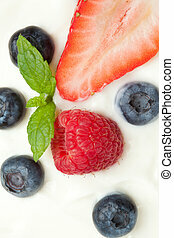 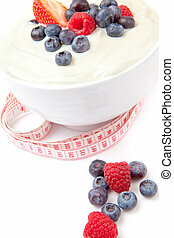 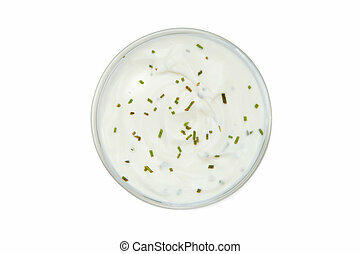 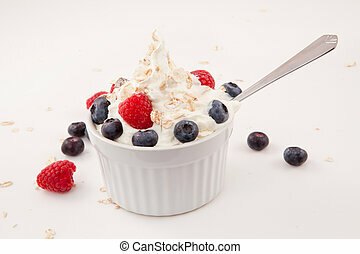 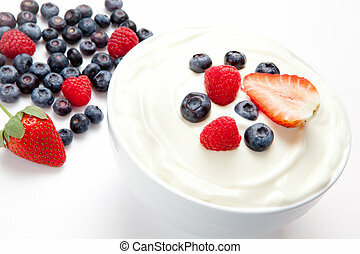 Bowl of cream with different berries against a white background. 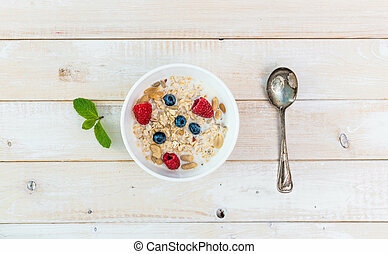 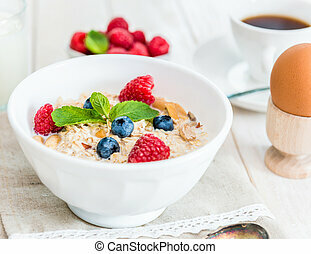 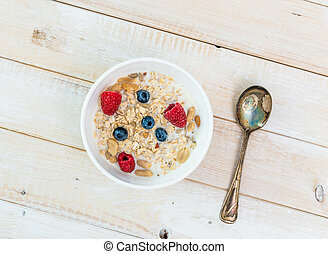 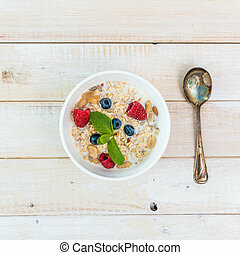 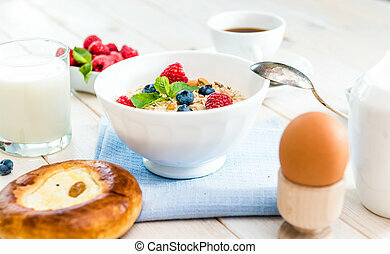 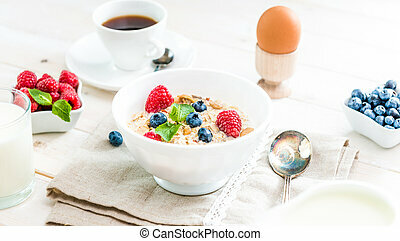 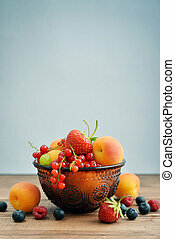 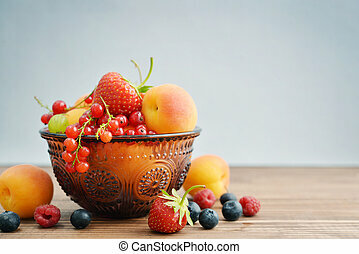 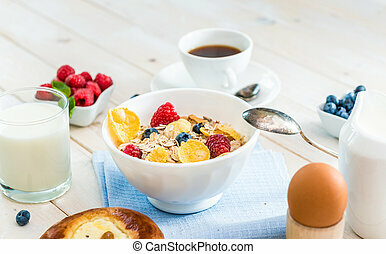 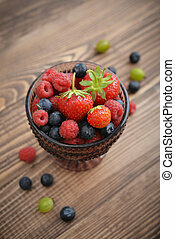 Bowl of different fresh berries on wooden background. 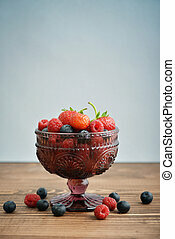 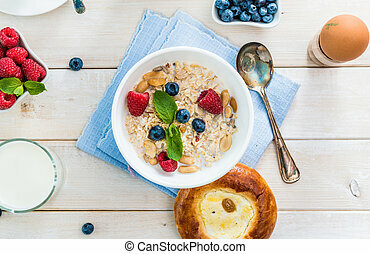 Bowl of different fresh berries on blue background.